Colin McClary is a Managing Director at MorrisAnderson. He brings valuable financing, banking, restructuring and private equity experience, having formerly worked in the Special Assets/Workout, Debt Private Placement and Corporate Banking Groups at Bank of America and as a Managing Director at Z Capital Partners LLC, a $2.3BN distressed-for-control private equity fund. Prior to joining MorrisAnderson, Colin was a Managing Director at Z Capital Partners where he focused on identifying, sourcing and evaluating potential acquisition targets and managing lender relationships. Duties included preparing industry studies, valuation analysis and legal documentation review. Colin holds a BS degree in economics from DePaul University and a Masters degree in finance from the University of Illinois of Champaign-Urbana. Colin assists clients with contract and lender negotiations, debt restructuring, capital raising, financial and operational analyses, cash flow projections, budgets, business valuations and the preparation of transaction and due diligence materials. Colin also consults with management to support strategic initiatives, corporate development, manages financial staff, and assists in the implementation of tighter financial controls and reporting. 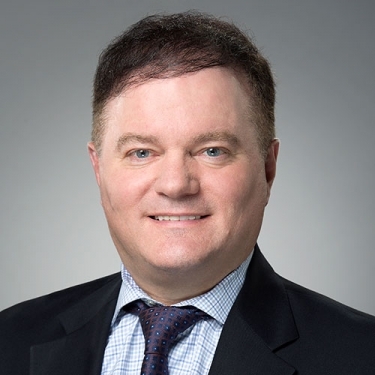 Colin has worked closely with business owners, CEOs, and CFOs in various industries including: Branded Food and Consumer Products, Equipment Leasing, Trucking, Rail, Business and Consumer Services, Gaming, Manufacturing, Pharmaceutical, Medical Devices, Logistics, Banking, Finance Companies, and Energy firms. Managed and restructured over $2 billion of troubled middle market C&I loans. Negotiated and structured over 150+ loan/note documents and related security, inter-creditor and subordination agreements. Restructured approximately $175 million of Tier 2 capital for commercial bank holding companies, including the conversion of $35MM of Senior Debt to Tier 2 qualifying Preferred Stock. Structured and syndicated debt capital for companies located in Australia, New Zealand, Ireland, United Kingdom, Germany, Netherlands, South Korea, India and Italy. Executed a tax-free spin-out of a healthy 500+ employee Canadian subsidiary from its troubled U.S. parent. Developed 200+ capital provider relationships with commercial banks, insurance companies, private debt firms, business development cos. and private equity firms. Prior to joining MorrisAnderson, Colin was a Managing Director at Z Capital Partners where he focused on identifying, sourcing and evaluating potential acquisition targets and managing lender relationships.